Music has been proven to help motivate you before and during your workout. Your favorite tunes can really help put you in the zone for your hardest training. Aim for a bottle that holds more than 32 ounces. It is vital that you keep yourself hydrated during your workout. You can even make it a goal to not leave the gym without finishing the whole bottle. Most people recommend bringing two towels: A larger one while using machines and mats, and a smaller one for wiping your face. This might sound unnecessary, but having an extra pair in case or even having the option to change pairs during a workout, makes packing them along worth it. Pre-workout: peanut butter & banana slices on toast, dried fruits & nuts or an energy gel. Post workout: protein shake, sliced apple & string cheese, or a protein bar. 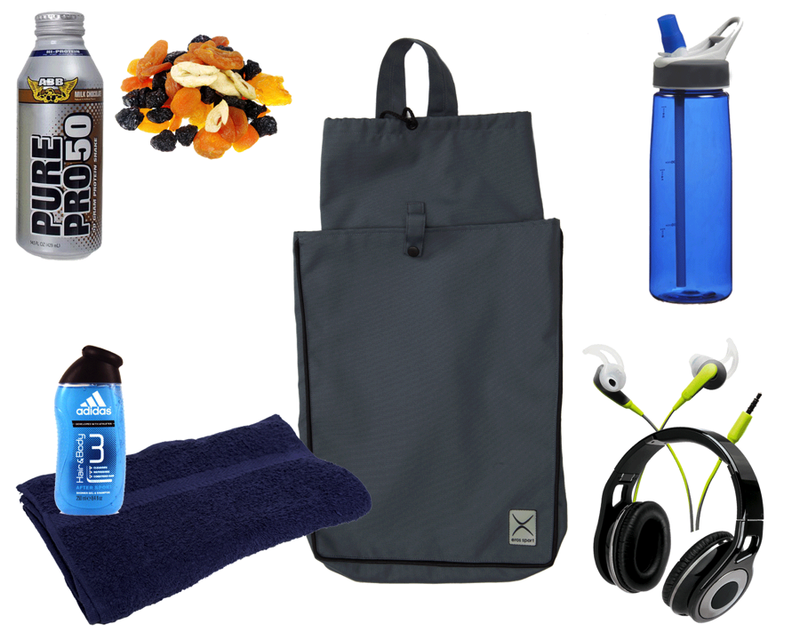 If your gym offers showers, take advantage and bring your towel, flip-flops, body wash and shampoo along. There’s no better feeling than showering right after a workout. No one wants to leave the gym in their sweat-drenched clothes, therefore, don’t forget to bring an outfit to leave the gym in confidence. Before stretching, you should always warm up your body. There are a couple of options for warm-ups such as hip circles, arm circles, arm swings, and heel-to-toe walk. Now that your body's warmed up, it's time to start stretching! Sit on the edge of a chair with your knees bent and feet on the floor. Extend your right leg in front of you and flex your right toes to the ceiling. Next, slowly lean forward at the hips with your back straight. You should feel the stretch in the back of your thigh. Repeat with your left leg. Stand behind a chair with both hands on the back of the chair. Place your left leg behind you while keeping your left heel to the ground. Next, bend your right knee and lean in towards the chair. You should feel the stretch in your left calf. Repeat with your right leg. Stand behind a chair with both hands on the back of the chair. Place your feet shoulder-width apart. Face your left foot towards the chair and point you right foot to the right. Lunge towards your right foot but don't let your right knee go past your toes. Repeat with your left foot. Stand behind a chair and place your left hand on the chair. Stand sideways so that your left hip is facing the back of the chair. Swing your right leg to the front and back. Repeat with your left leg. Now comes the fun part. When exercising, be mindful of your own body. Challenging yourself is important but know your limits. Do not put yourself too hard because this can cause injuries. Also make sure to hydrate. Have fun! Finish up your exercise by stretching again! When developing a fit and healthy body, we often forget about the most important ingredient to our success: WATER. Experts agree that the smartest way to reach our fitness goals is through proper hydration, which can take athletic performance to a whole new level. The human body is made up of around 60% water, meaning our muscles, brain, blood and sweat are mostly water. Therefore, without consistent hydration, our bodies do not work properly and any mental or physical activities become that much harder. People often believe that as long as they are drinking when thirsty then they are good to go. However, this is not a reliable measures since most of the time we don’t know when we are dehydrated. 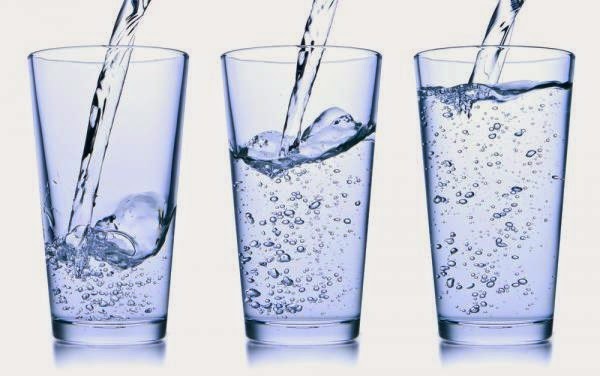 Especially for athletes, drinking less than 8 glasses of water is quite detrimental to one’s performance. As a rule of thumb, you should start drinking water before feeling thirsty and even after you are no longer thirsty. On average you should be going to the bathroom every two to four hours. A sign that you are dehydrated is if your urine is a dark yellow. Take this as a warning sign and drink up! It is essential that you hydrate yourself all throughout the day and especially before you work out. This will allow you to feel stronger and work out for longer than if you were dehydrated. This childhood favorite is no longer just for kids. In a study done by physiologist Joel Stager from Indiana University, chocolate milk is deemed the optimal post-exercise drink. Ideal for cyclists and long-distance runners, this recovery drink provides the carbohydrates to replenish your muscles after an intense work out. Buy a reusable water bottle and take it wherever you go. In no time you will get accustomed to drinking more throughout the day. Drink up to a hydrated and energized you!